You can’t have a feast without dessert, right? What goes better with turkey or ham than yummy holiday pies? I found some amazing ideas that would be perfect for your upcoming holiday parties. 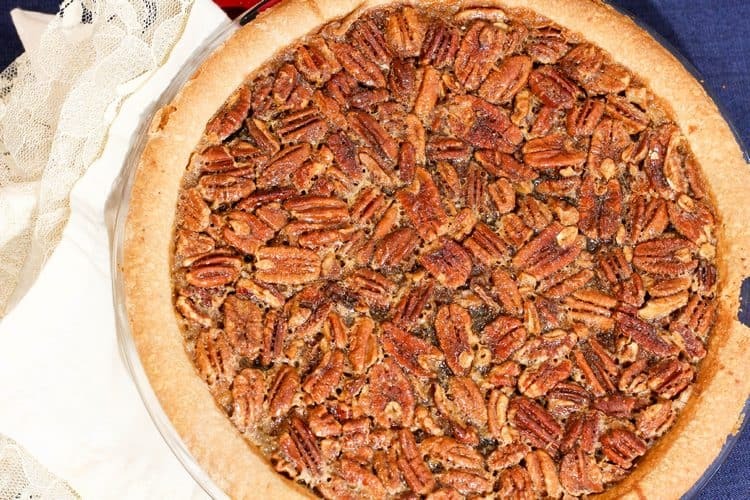 From pumpkin pies to pecan tarts, there’s a little something for everyone in this round-up! The holidays can bring so much cheer. In my household, the holidays consist of lots of food and gathering up family and friends to spend a full evening together. I’ve always cherished this celebration because it gets really difficult to see relatives on a regular basis. With everyone’s busy schedules, we cherish the moments when we get to gather up and have a good time. During our holiday gatherings, I like to bring out a good pie (or two, or three!) on our dessert table. Pies are the essence of any holiday spread. I love combining sweet ingredients and seeing what flavor combinations go best together (my personal favorite is a cinnamon-orange combo). Do you have any favorite holiday pies? Share in the comments! With so many amazing holiday pies, I tried to break these down into categories for you. As you can see, some pies cross categories (chocolate and pumpkin, anyone?). Hey, it’s not a perfect system, but that’s okay because these are definitely perfect pies, so it makes up for it! Pumpkin pies are pretty much a staple during the holiday season, and these yummy recipes cover just about every taste! From traditional to cheesecake to oh-my-yumminess triple chocolate pumpkin! Grandma’s apple pie recipe is amazing, don’t get me wrong, but sometimes you want something a little different. These five holiday pies will satisfy your guest’s craving for apple goodness in a whole new way (one isn’t even a pie!). Pecan pie? Yes, please! Check out these three tasty spins on a Christmas classic! Pecan, Pumpkin, Chocolate and Apple aren’t the only holiday pies game in town! Check out these delicious ideas for something a little more outside the traditional box! There you go! With these 27 amazing holiday pies, you could feast on a new tasty treat every day from Thanksgiving to Christmas! I wouldn’t recommend that, of course. Moderation, my friends, moderation. Still, variety is the spice of life! 27!? Wow! I can barely wrap my sweet tooth around 10. I am bookmarking this for the holidays. Yum! So many different pies! My SO LOVES pies. He’s favorite is pumpkin pie and apple pie. I don’t usually have pie at holidays, but I certainly wouldn’t turn down any of those chocolate ones if they were offered. I just love eating pies especially at the holidays. My Mom makes a fabulous Fudge pie. I also love getting pies from a local shop.